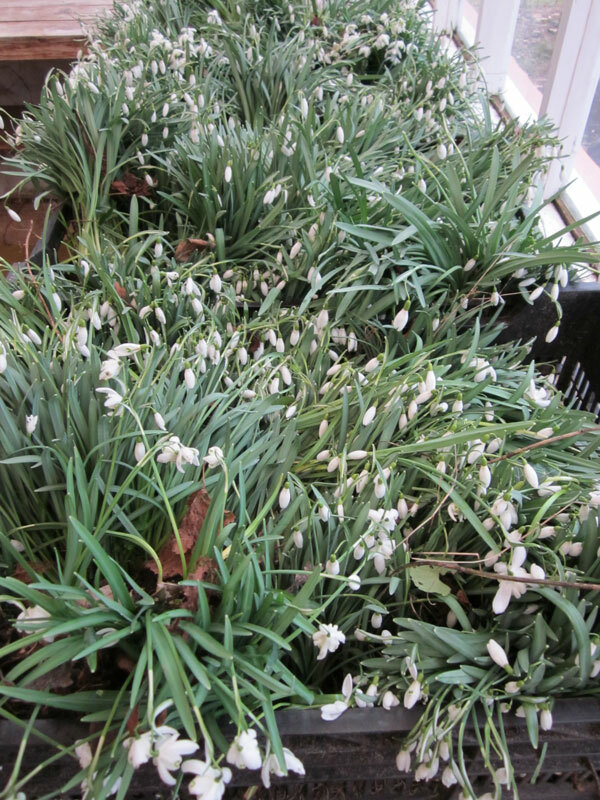 Snowdrops, Aconites & Bluebells "In the Green"
To order by phone or to discuss your requirements please ring 01787 277441. 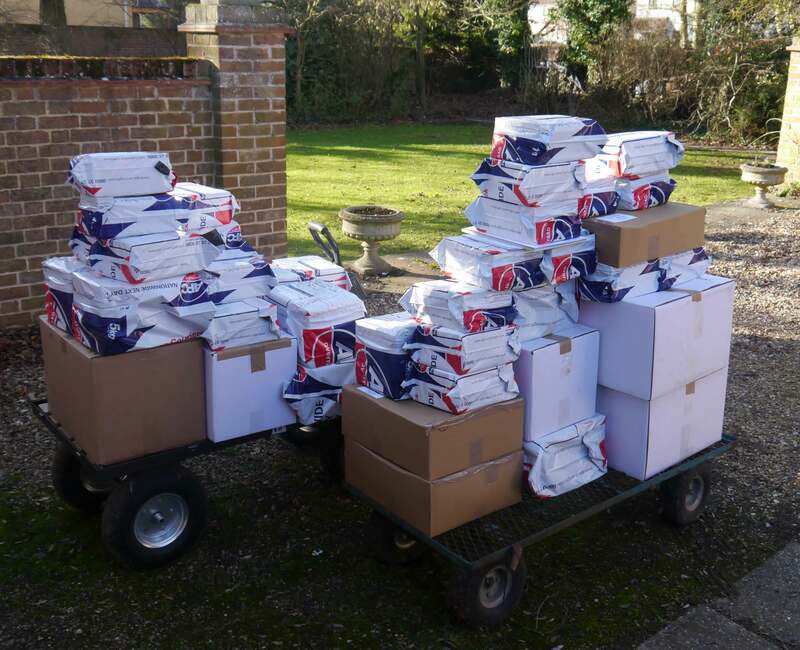 To order by post please click here. 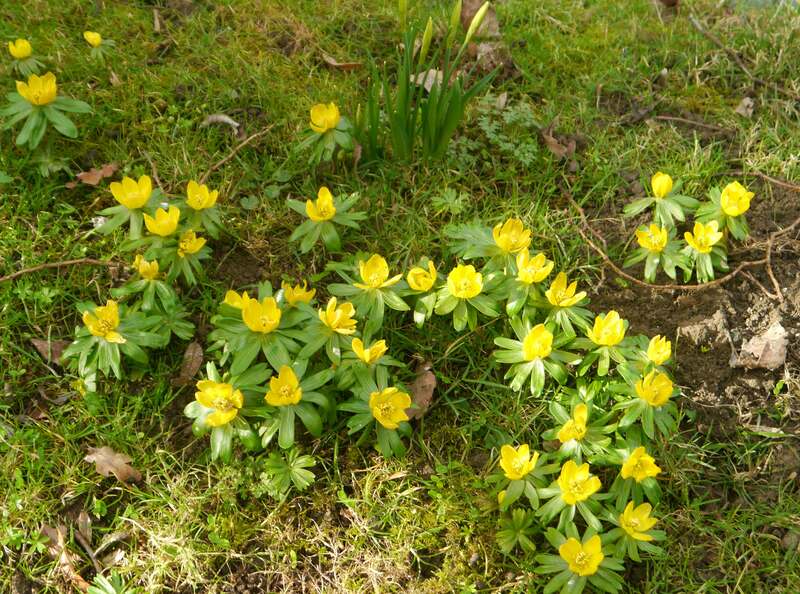 Buying English Snowdrops, Winter Aconites and English bluebells "in the green" is seen by many as being a more reliable way of achieving success than planting "dry" bulbs, i.e. 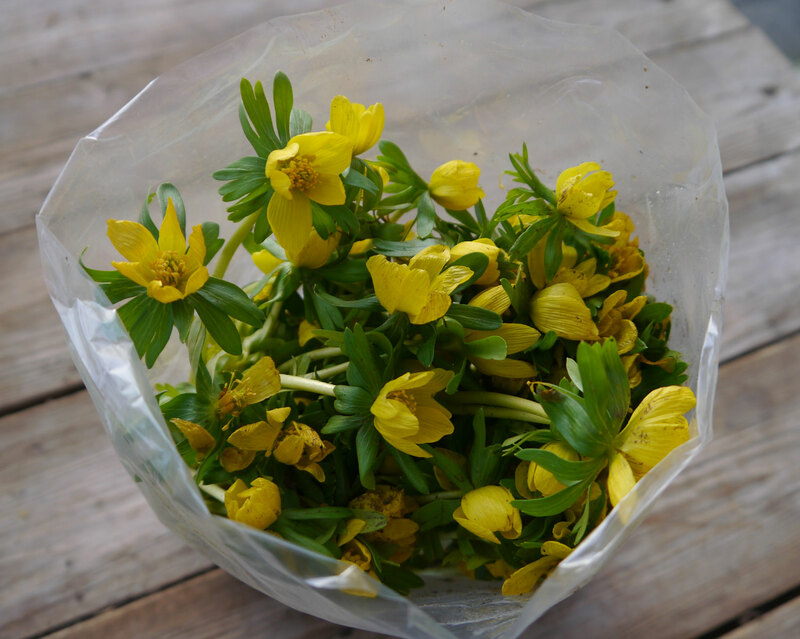 as one would buy and plant in the autumn. 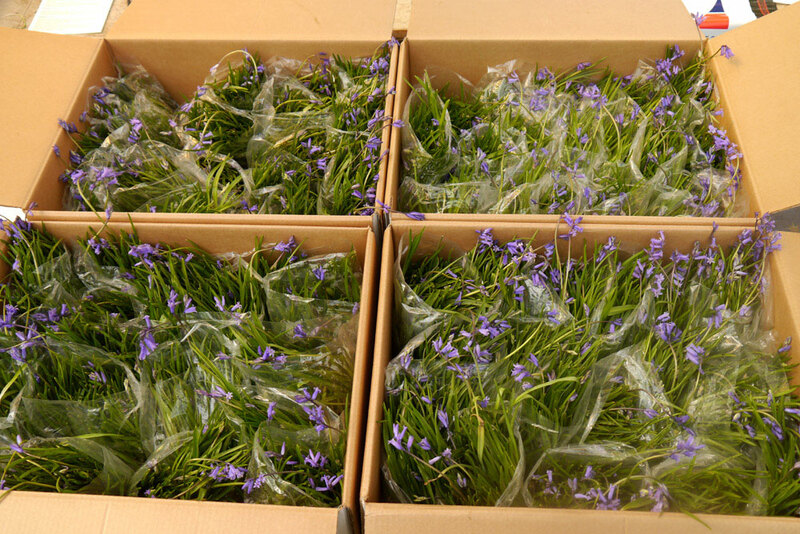 The bulbs we offer are naturally grown and lifted under controlled conditions. 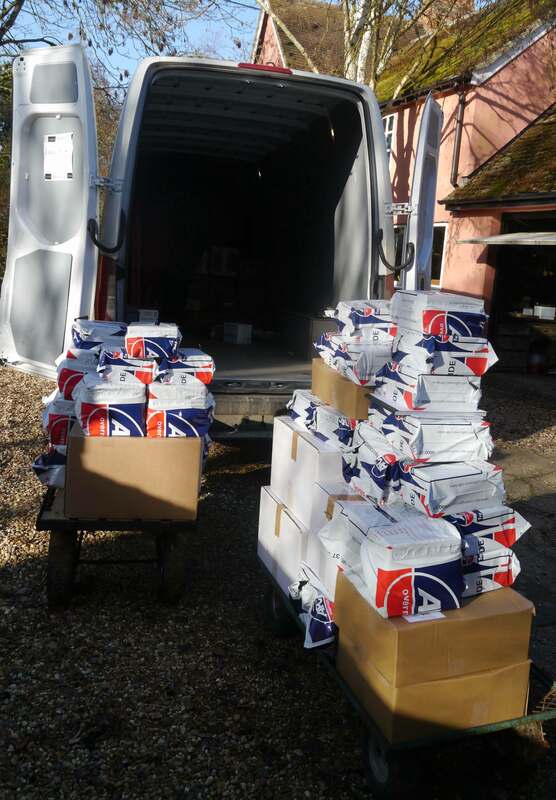 We try very hard to ensure that no more than two or three days pass between the lifting of the bulbs and their arrival at our customer's address. 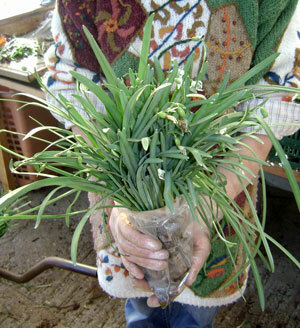 This way the bulbs remain fully viable. The pictures below show their condition when they leave our premises. 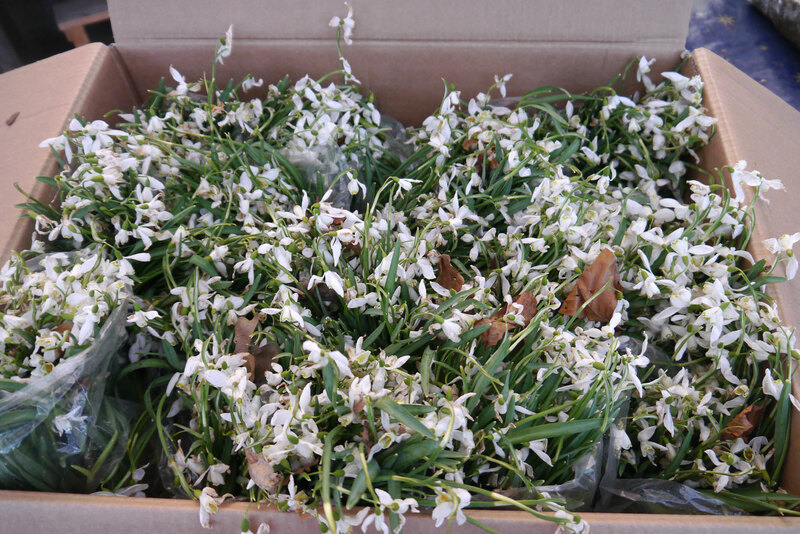 Bulbs in the green may be ordered at any time during the year, although they are only delivered from early February until mid-May, the actual delivery time depending upon the weather in the early part of the year. Hard frosts or persistent rain prevents lifting taking place. 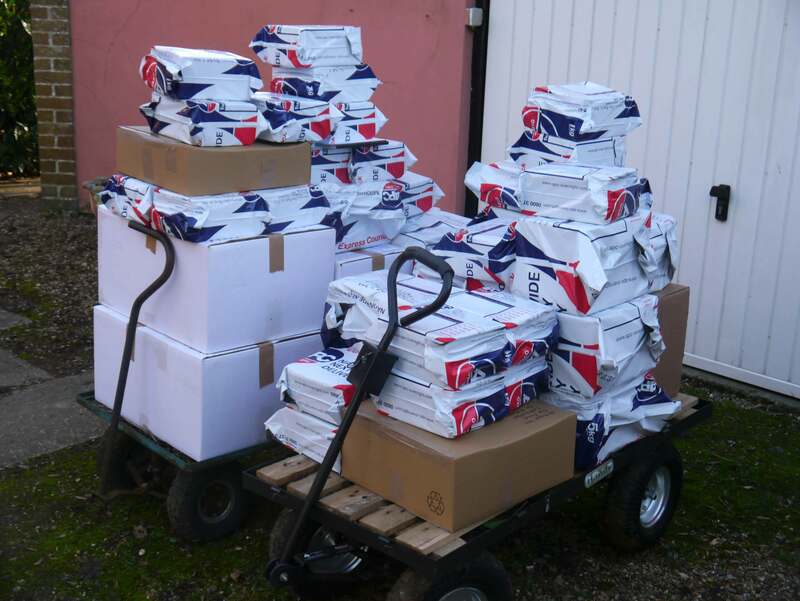 We are always pleased to speak to customers regarding delivery timings. 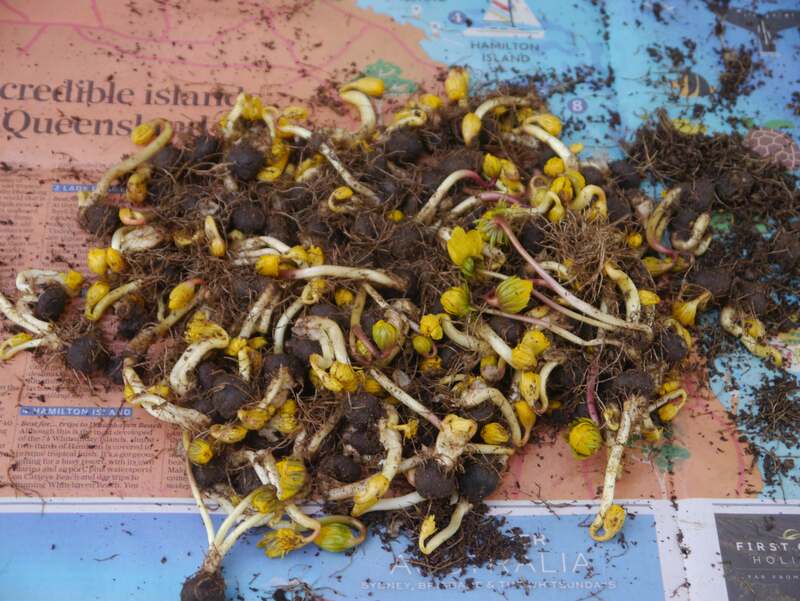 Bulbs may be collected from Clare if so wished. 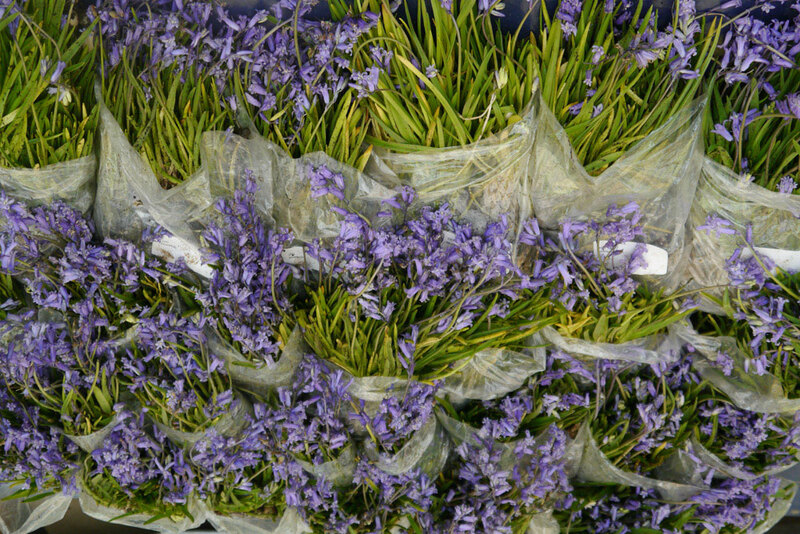 What are Spanish Bluebells? Click here to find out! 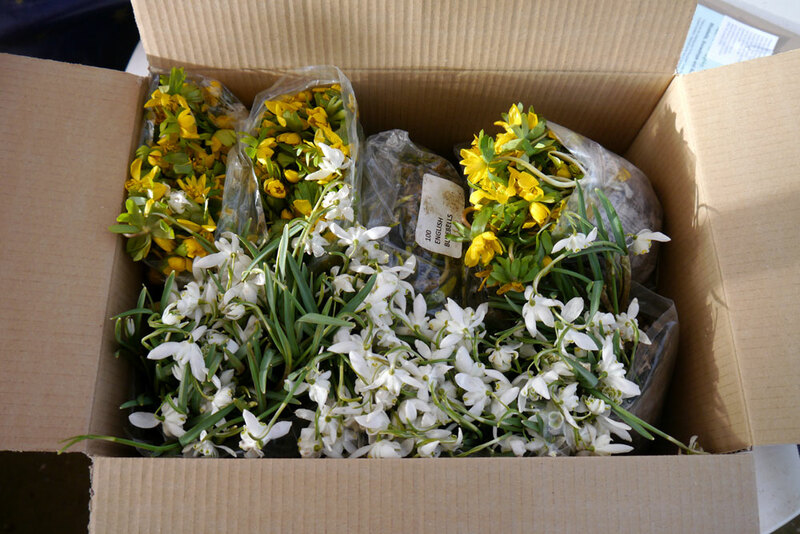 A box ready for a customer containing 250 snowdrops and 250 aconites 8000 bluebells on their way to the West Country Another box, this time containing 2000 snowdrops. 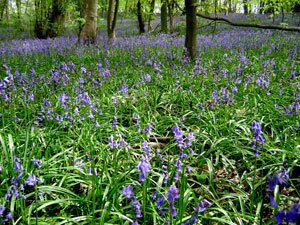 A lovely picture sent to us by a customer. 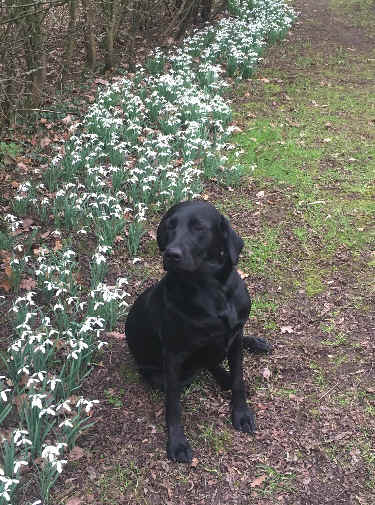 Not only are the snowdrops from the Clare Bulb Company, but so is the Labrador, Betty!